Phi Phi Diving has many possibilities whether you are an out and out beginner and want to learn to dive or you are an experienced diver in search of adventure. 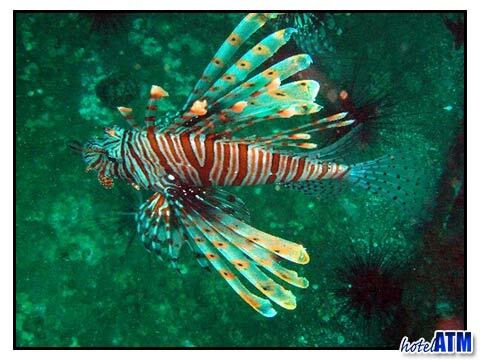 Phi Phi Diving has many dive schools with excellent credentials and a superb range of dive sites. Phi Phi Diving is primarily based around Phi Phi Don Village as this is where the main pier is. 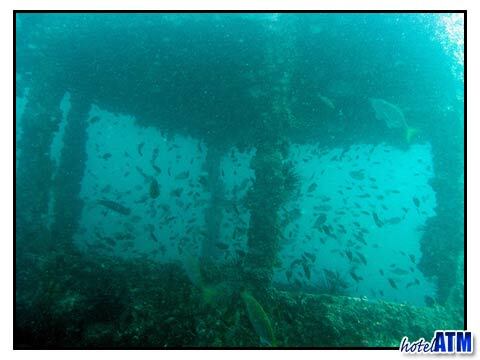 The divers have their own section of pier so that the dive boats, tanks and divers can get on and off the pier with ease. Elsewhere on the islands, namely at Long Beach, Laem Tong Beach, Loh Bagao Beach, and Harlequin Divers and Blue View Divers leave from the beach itself. Harlequin Divers and Blue View Divers use beach starts to offer their guest a different experience, different start times and smaller boats. Phi Phi Diving is primarily focused on Phi Phi reefs that are 12-24 meters deep. With 20 km of reef, Phi Phi has many, many dive sites. In low season even when the sea conditions can be unfavourable due to strong westerly wind and wave action, there are still over 6 km of reef available to the divers making Phi Phi Island an all year round dive destination. Phi Phi diving spoils you if you are used to diving in location like Phuket. The reefs start with Hin Dot, a 30 meter deep pinnacle just off the end of Tonsai Bay which is only 5 minutes from the pier. The proximity of the dive sites to the main village means that you can have a 2 dive day (the most common intensity) and still get back in the afternoon to hang out on the beach or at the pool. Diving in many locations takes up the whole day leaving no time for a non-diving partner and or no time to explore the rest of the island. Phi Phi Dive boats leave the pier at 9.00am with the aim of getting back to the pier so that guests can take the afternoon ferries to Phuket which is at 14.30 pm. In 3 days of Phi Phi Diving you will undoubtedly visit the reefs, boulders, rock falls and walls off Phi Phi Ley and Koh Bida. These dive sites are 18-24 meters deep offering some exciting variability. The Bida to Phi Phi Ley dive sites are on the migratory path of the larger pelagic species such as the Whale Shark and Manta Ray but also hosts an incredible marine ecosystem. Black Tip Reef Shark, Leopard Shark are the dominant apex of the food chain but there are many schools of trevally (Jaks) and barracuda. In close to the reefs, hard and soft corals compete for space in a kaleidoscope of colours and the minutiae of crustacean, reef fish and juveniles compete for position and prey. Further detail on Phi Phi sharks. Further on, advanced Phi Phi diving takes you to some interesting and more challenging reefs such as the Phi Phi Shark Point, Phuket Shark Point, Garan Heng, The King Cruiser Wreck, and Hin Daeng. These deeper more serious dive sites are for the experienced and often bring you in contact with pinnacles covered with a teaming mass of sea life where hunter and hunted dart around in a mesmerizing play in front of your eyes. Follow the links for further details. The range of Phi Phi Diving schools is excellent for giving virtually every type of student a chance to learn in his/her most comfortable setting's. Moskito Diving has the best dive boats and a pool for confined water practice. Phi Phi Scuba has the most dive boats give the chance of perfectly matched groups diving together. Blue View Divers dives from the small and intimate Longtail boat. Harlequin divers like to dive in the afternoon. Aquanauts divers are the most laid back and social school. Viking Divers, Sea Frog diving and more all have differing ways of approaching their PADI diving experience so it is worth hunting around to find the most appropriate style for you. The prices are standardized on the whole as this allows the proper investment in equipment and safety to ensure the highest possible standards. Phi Phi Diving in low season can be a very mixed affair with a great variation of weather and sea conditions. The most influential wave action comes in from the west so that May till October you won’t be able to get out to all the west facing dive sites as the surface time is either uncomfortable or unsafe. The key windy months are June and September. Divers go out every day but need to dive in the lee of the Phi Phi Ley and Phi Phi Don Cliffs to ensure good conditions. Luckily the sun rises on the east and most diving is in the morning so that light penetration is at it's optimal. After sustained wind the shallower reefs can be disturbed reducing visibility but you will always bet 8-12 meters. Normal visibility is 12-25m.